(1) Men’s College Basketball: What a Championship Game! On Monday night the Villanova and North Carolina men faced off for the championship trophy. It was a close game throughout, with the lead changing back and forth several times. As the final minute wound down, NC was behind when it managed to tie the score with an awkward yet acrobatic three-point basket. The shooter had jumped in the air, which meant that he had to shoot; if he landed holding the ball, he would have turned the ball over to Villanova because of traveling. But in midair he torqued his body and threw a shot that miraculously went through the net. That shot tied the game with 4.7 seconds left. Just about everybody in the world, including me, thought the game was about to go into overtime. Villanova inbounded the ball, the dribbler passed the ball off to Kris Jenkins, and Jenkins launched a shot from way behind the three-point arc. The ball left Jenkins’s hands well before the final buzzer sounded. It swished through the net, gaining Villanova a three-point victory and its second national championship. My husband and I grew up in Connecticut. Even though we didn’t attend the University of Connecticut, we’ve followed the UConn (pronounced Yukon) women’s basketball program, which has developed into a near-dynasty over the last 20 or so years. On Tuesday night the UConn Huskies women won their fourth consecutive national championship in a game that was not as competitively close as the men’s game. 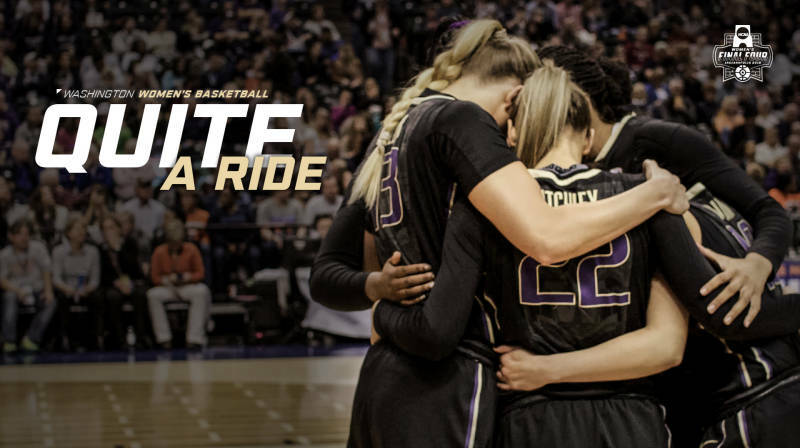 Another high note of the women’s championship tournament this year is that the University of Washington Huskies women made it to the Women’s Final Four for the first time in program history. They were one of the lowest seeds (#7 in their region) to make it to the tournaments’s final weekend. As recent transplants to Washington, we were thrilled to see the women’s basketball team’s extraordinary tournament run. Maybe some day soon we’ll see a championship game featuring the East Coast Huskies vs. the West Coast Huskies. (3) Can the Seattle Mariners Contend This Year? The Mariners opened their season on the road against the Texas Rangers. Their loss of the opening game left me dispirited: same old same old. But they managed the win the second and third games in decisive fashion, with big innings toward the end of the game. Last year the pattern was that even if the Mariners managed to build a lead by the middle of the game, they would often lose it over the final innings and not be able to recover. But the hitters have shown up, at least so far. After an off day today, the Mariners open at home tomorrow night against the Oakland A’s. Maybe this year will be better than last year.